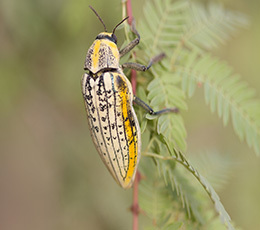 This Arthropod study was conducted in the Dubai Desert Conservation Reserve (DDCR). The reserve is located on the border between Sharjah and Abu Dhabi. The habitats of the reserve are dominated mainly by low-to-medium size sand dunes and interspersed gravel plains. This reserve is a perfect site to observe and collect different Arthropod species. Although this survey was aimed on the biodiversity and the distribution of the species found on the reserve has indicated that the Dominant species of the reserve is that of the Hymenoptera Order and more specific Short-wing wasp (Komarowia concolor). The IVI, Important Value Index. 65.26% this recorded over a trapped 140 trap-nights period. The Co-dominant species was of the Order Coleoptera and of the Family of Tenebrionidae, the Rack beetle (Tentyrina palmeri) with an IVI of 61.91%. The survey indicated that the trapping success of the three methods, the Light trapping, Pitfall-trapping and Malaise trapping, thus the Light trapping was most successful and the Malaise trapping the least.